I believe in markets. 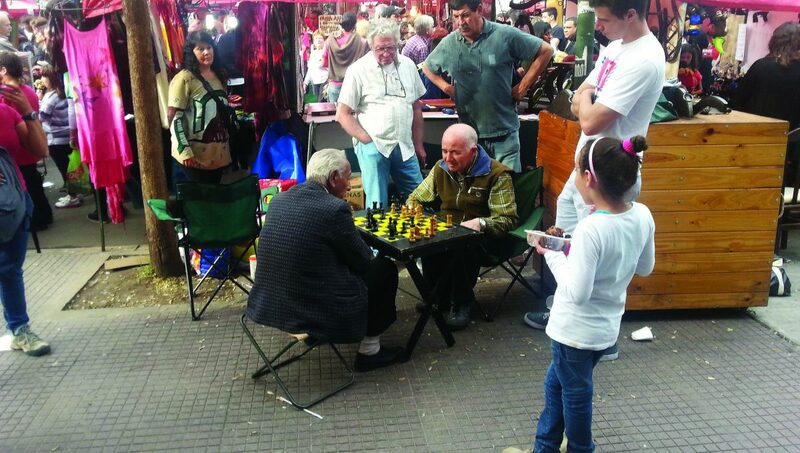 From neighbourhood street markets to markets in buildings, markets bring people together to trade, to meet, or even to play a game of chess. At the heart of markets are the people. It’s people who power markets. The three street markets in this chapter are truly powerful places and each is a credit to their thriving community. With low maintenance costs for merchants, produce and products are affordable to most customers in their communities. Three places where people have always been, and are fully immersed in their local markets are described below. From Crete to Amsterdam and Buenos Aires. Markets pure and simple for more than 2500 years. Going to these markets is truly a personal experience. The oldest markets recorded are those from Agora’s in Knossos, Crete and Athens. The word Agora is Greek for ‘open place of assembly’ and designated as the area in the city where citizens gathered for announcements, joined military campaigns or discusses politics. Open-air, or tented, markets later redefined the Agora as places where merchants and craftsmen made and sold their products. In 2013, I visited the weekly market in the town of Mires, Crete, with my travel companion. As we turned the corner to the market’s entrance, an older, tiny lady stood with two empty fruit crates. She was making and selling cup holders. We bought a few and she gave us a muffin and a glass of water. The next afternoon we ran into her on the street. 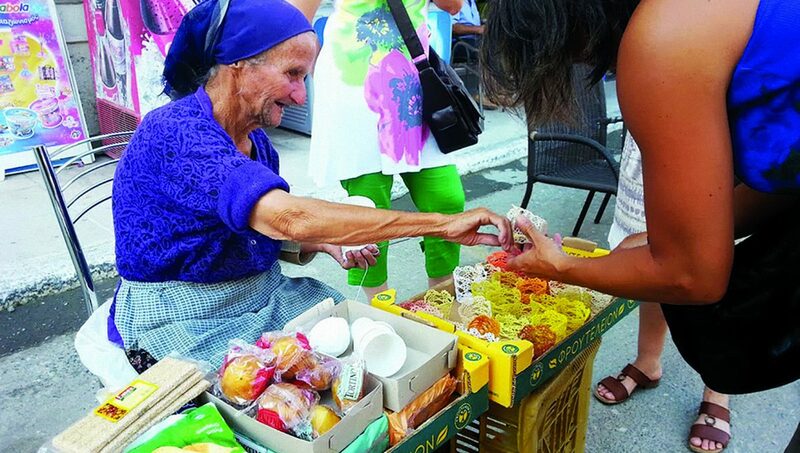 Her name was Crystallo; she was in her sixties and had been working in the markets of southern Crete for many years. At the end of Crete’s tourist season, Crystallo takes the ferry to Athens to work the markets there. She asked us to guard her merchandise for a while. Of course we did, and when she came back she gave us another muffin and glass of water. To us Crystallo represents Greek market merchants from a 2600-year history. In artist renderings of the ancient Agora Markets the stalls were just as simple as the Greek street markets of today, with merchants selling homemade products and home grown produce, just like Crystallo. 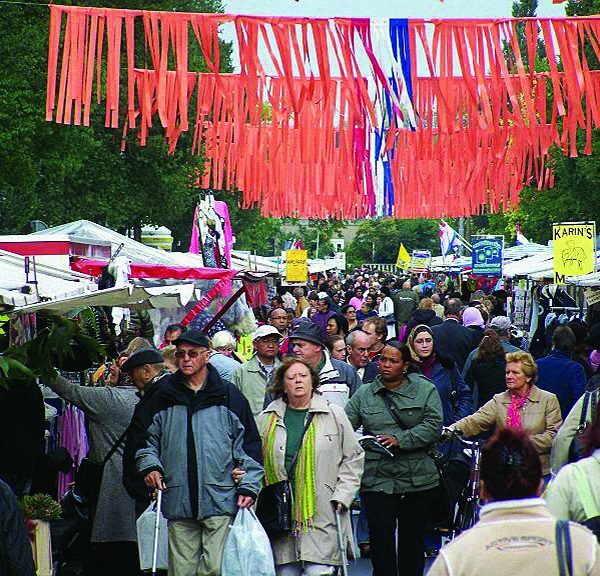 Every Sunday, the Feria de Mataderos takes place in the Barrio with the same name. Mataderos is a large barrio in the southwest of Buenos Aires, and totally different from European-styled neighbourhoods like Palermo, Belgrano and Puerto Madero. The name Mataderos stems from the livestock market and slaughterhouses. The area has always been a hub for rural commerce as it was the first stop for gauchos in the city. Since 1986, the community celebrates every Sunday with the Feria de Mataderos, an exuberant celebration of Argentina’s gaucho culture, cuisine, and crafts. The weekly Sunday market stretches out two kilometers along the major street, La Defensa. It is an incredible weekly event. Flexible parking lots and garages become market stalls, places to eat, and later the stage for musicians, street artists—and lots of Tango. The City does not charge the locals to sell their goods nor for the space to sell, enabling local people to earn a living. From homemade pies and cakes to leather goods, jewellery and used clothing—everything is on offer. Around mealtimes the whole area becomes one giant barbecue pit. And everywhere music plays and people spontaneously dance. Late into the afternoon this market booms with people and energy. I was there in 2014. The strength of the Feria as a place to meet and conduct business is evident. When speaking with locals, a common theme is safety and security once the Feria ends and buses usher out the visitors. During the Sunday Feria, Mataderos is idyllic but as evening falls they say it becomes unsafe. This weekly happening in Mataderos is pure magic: space turns into place, a delightful destination where people shine. Amsterdam features more than 175 of the world’s nationalities. The Dapper Market seems to attract them all, either as merchants or customers. Like most of the more than 25 markets in Amsterdam, the Dapper Market, is a street market. 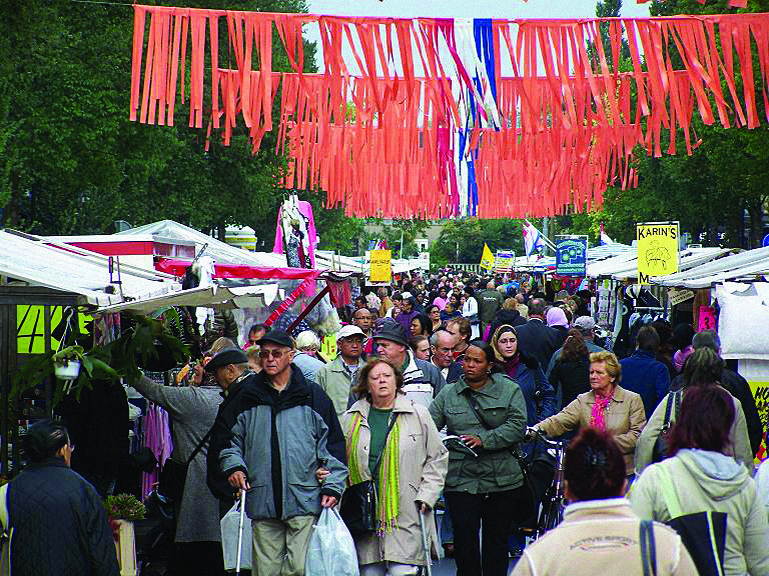 Six days a week, the street transforms from public space into a bustling market place. About 15,000 people attend the market each day, which amounts to 4.8 million a year, more than the number of visitors to the Empire State Building in New York. Amsterdam East’s Dapper neighbourhood is a truly diverse neighbourhood and it’s no surprise the market reflects this diversity. Many of the nationalities that have come to Amsterdam have trading in their genes so the Market always gets new blood. In Amsterdam, the City manages most markets. Compared to shops, the rules and regulations for markets are far more rigid. These rules were established more than a hundred years ago to prevent violence at the start of markets in the mornings. People nearly killed each other for a better place at a corner or at the centre of the market on Dapper Square. Lately there is some movement towards merchants and entrepreneurs running markets, as Governments don’t see this as their core business. There are successes to report, as well as failures. A good mix in management groups is definitely the key. It is crucial to include citizens/consumers with an advisory role in market management. A good market has a mix of products and people, and above all it is a great place to be. Successful markets need to communicate their success effectively. Programming and communication to the community is also important, using an up-to-date web page in various languages, Facebook, and other Social Media. Mataderos proves that if the city is willing and able to offer space, the people will respond and seize this opportunity to develop their entrepreneurship, a first step on the social mobility ladder. The Dapper Market proves on a daily basis that more than hundred nationalities with a common goal to earn a living can succeed. 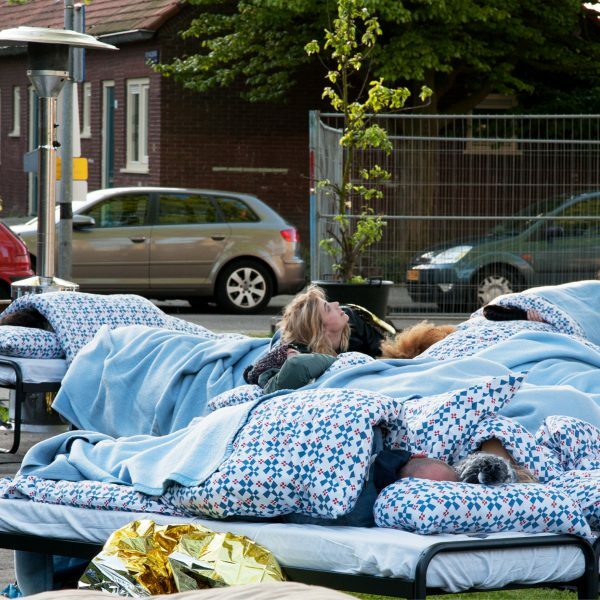 The market has far-reaching positive effects on those who work and use the market as well as the City of Amsterdam as a whole. Here the City manages the market and charges market fees. At night, the Dapper Street is a paid parking street–double income for the City. Local economies were built around markets, which offered affordable opportunities for people looking to start a small business and represented vital lifelines connecting consumers and producers. In no other public space is the multi-purpose extent of place so thoroughly represented. Markets act as catalysts for creating centres in neighbourhoods that have lost their sense of place. With the help of Project for Public Spaces (PPS), we’ve developed a list of three byproducts of good markets. We need to preserve these very special, multi-functional places and the role that they play in the long-term health of local economies. We need to support the creation and management of markets of all sizes around the world in order to reconnect local economies and communities. Not only are markets a vital source of community engagement, markets can serve to amplify cherished aspects of local culture. The idea of a market is pretty open to the region’s talents and interests. Along with industry, many cities have lost their sense of identity. Food will always be the core of markets, but everything else depends on local needs. For example, the city of Detroit is well known for the automobile industry. A weekly market for classic cars could enhance the city’s identity and provide a vibrant venue for community gathering. Every Saturday food trucks could set up in a parking lot with a line-up of classic cars for sale along the edges. If local community leaders are open to it, a market can be anything. When food and agriculture play an important role in local culture, a market becomes an easier sell. But with many cities disconnected from the greater food systems that serve them, ancillary uses become important for longevity. This bodes well for places. Great markets are created by clustering activity. They require the intentional aggregation of local food production, but also of other services and functions. The food is the central reason for why people gather, and that gathering creates a hub for community life. A major strength of markets in today’s economy is that public markets are a substantial economic driver in many cities around the globe. Markets create plenty of room for small businesses and fine-grained economic development by offering a “Lighter, Quicker, Cheaper” way to support, promote, and increase economic activity. Every city has the resources to locally produce food—and if a place as dense as New York can become an urban agriculture leader, any city can. Moreover, the gather of people, the social production aspect of markets, is an essential contribution to economic resilience for both urban and rural communities. Markets can provide a great, human experience for the city at eye level. Markets have been the ultimate way for people to meet and conduct business. Cities have grown from Markets. People truly power markets all over the world. With and/or without rules. Pure and simple.